Leapfrog Mountain is committed to protecting your privacy and complying with relevant data and privacy legislation. Our policy here is outlined so you can see the steps we take to do so. Our website is operated by Leapfrog Mountain Ltd registered in England and Wales with company number 10211679 and whose registered office address is at 9 Hilgrove Road, Cornwall TR7 2QY. 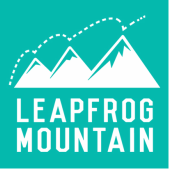 At Leapfrog Mountain we are committed to protecting and preserving the privacy of our learners and anyone who deals with us when visiting our site, communicating electronically with us or attending any of our training. In running and operating this website, we may collect and process certain data and information relating to you and your use of this site. Your privacy is important to us and we confirm that we will never release your personal details to any third party for their mailing or marketing purposes. • Information you provide in order to enter a competition or promotion via the site, complete a survey, or if you report a problem with the site. • Details of visits to our website and the pages and resources that are accessed, including but not limited to, traffic data, location data and other communication data that may assist us in understanding how visitors use the website. This may also include the resources that you access, and information about where you are on the internet including the domain type, IP address and URL that you came from. This information is collected and used for our internal research purposes and to improve our customer service. • The personal information we collect might include your name, address, email address, IP address, and information regarding what pages are accessed and when. This information is recorded and sent to third-party processors for the purposes of data analysis. • Information you provide to us by sending us a message through our website and information provided to us when you communicate with us electronically for any reason. If you contact us, we may keep a record of your email and other correspondence. • Information that you provide us as a result of filling in forms on our website, such as registering for information or making a purchase. If you make an online purchase from us, your card information is not held by us, it is collected by our third-party payment processors, who specialise in the secure online capture and processing of credit/debit card transactions, as explained below. Third Party Service Providers working on our behalf: We may pass your information to our third-party service providers, agents subcontractors and other associated organisations for the purposes of completing tasks and providing services to you on our behalf (for example to process payments and send you email). However, when we use third party service providers, we disclose only the personal information that is necessary to deliver the service and we have a contract in place that requires them to keep your information secure and not to use it for their own direct marketing purposes. Please be reassured that we will not release your information to third parties beyond Leapfrog Mountain for them to use for their own direct marketing purposes, unless you have requested us to do so, or we are required to do so by law, for example, by a court order or for the purposes of prevention of fraud or other crime. Third Party Product Providers we work in association with: We work with our awarding body SFEDI AWARDS. When you enquire about or book accredited training with us a registration form giving us permission to share your details will be required. They will use your details to provide you with information and carry out their obligations such as certification on successful completion of your studies. The accuracy of your information is important to us. If you change email address, or any of the other information we hold is inaccurate or out of date, please email us or write to us. You have the right to ask for a copy of the information that Leapfrog Mountain hold about you. Leapfrog Mountain may utilise the services of third party organisations to process your personal data. As the data controller we determine the purposes and means of the processing of your personal data. Where your data is processed by any third party on behalf of Leapfrog Mountain Ltd, that third party will be a processor under the General Data Protection Regulation (GDPR) . We confirm that we take steps in order to ensure that this data is processed lawfully under the law in accordance with each agreement that we have in place with each processor.